Presenters will examine regional trends, issues and concerns, and discuss what is on the horizon both socially and legally for LGBTQ+ treatment staff, community members and clients. 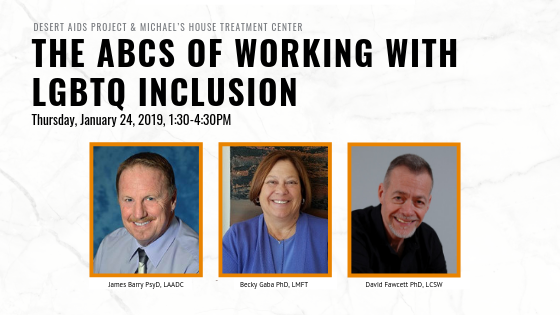 Attendees will explore personal and professional inclusiveness and what could be improved to create a safer space for community members and clients. Explore what is on the horizon for LGBTQ+ rights, both socially and legally.